Creating a national zero carbon housing standard could add billions to the economy while also improving occupant health and comfort, new CRC for Low Carbon Living research has revealed. 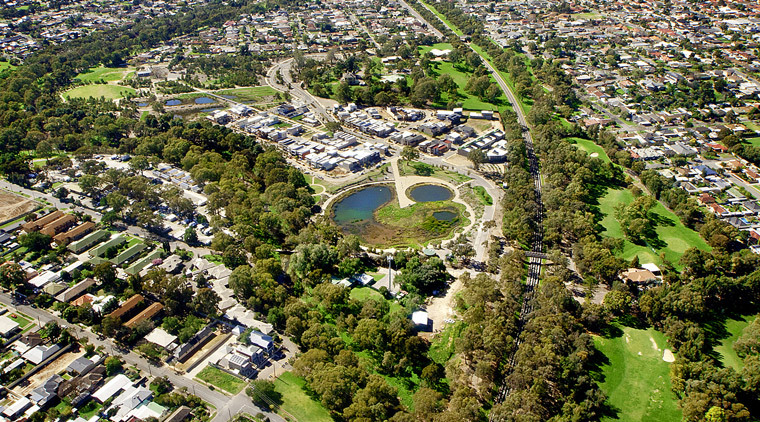 The research, which used data from the South Australian Government’s Lochiel Park housing estate, a “near zero carbon” precinct development by Renewal SA with over 100 homes, found that the benefits of adopting a zero carbon standard for South Australia were “overwhelmingly positive”. For the state government there would be benefits of $1.31 billion over 10 years and a $2.42 economic return for every dollar spent, the researchers said. Benefits expected included improved energy efficiency, energy network infrastructure savings, improved human health and wellbeing, carbon emission reductions, and benefits from increased social capital. A zero carbon housing standard would be good news to those looking to build a house too. The research found that owner-occupiers would benefit by close to $25,000 if they built a house in the first year of any policy change, a figure the researchers said was a conservative estimate. Houses built in subsequent years, as technologies and learnings improved, would see greater savings. “As the housing industry adopts new technologies and practices, increases low carbon building system production volumes, improves industrial processes, and develops skills and knowledge across the various building industry professions, the cost of creating low carbon homes reduces and net benefits to the householder investor improve,” a research report said. Benefits to home owners included lower energy bills, increased levels of thermal comfort, improved health and wellbeing, intrinsic values associated with taking climate change action and benefits from increased social capital. “These results could be applicable nationally and show that it is time for building standards to be raised from the current six star minimum rating to one that would achieve a much deeper cut in residential carbon emissions,” lead researcher Dr Stephen Barry from the University of South Australia said. While the study shows benefits accrue to both the government and householders, Australia has a history of housing lobbies like the Master Builders Association and Housing Industry Association fighting increases to building standards, usually under the guise of changes leading to increased construction costs, which they say could lead to higher house prices in an already unaffordable market. These arguments routinely fail to take into account the significant reduction in running costs for owners and the potential for “positive energy bills”, among other benefits. Adding to this, predictions of large increases in the cost of construction through improved standards have failed to play out. The news of the benefits of zero carbon housing comes as the UK goes back another step with last week’s announcement of cessation of the Zero Carbon Hub, a public–private body set up to help transition all new homes to zero carbon, a 2016 goal that was controversially dropped by the government last year. Without government support behind the zero carbon goal, industry funding was withdrawn and the hub shut down. “Zero Carbon Hub has been remarkably successful in bringing together a wide spectrum of stakeholders with an interest in the world-leading zero carbon target across public, private and third sectors,” its chair Paul King said. The UK Green Building Council said it was sad to see the hub’s closure but wasn’t a shock given the direction of government policy. Let’s hope Australia goes down the right path. The real problem in housing is the “Housing Industry”. New housing is too large, too much useless space marketed to buyers. Housing should be built where railway infrastructure is built prior to development. It should be made affordable by mass production, good design and reduction of wasted space. All road building should be abandoned the construction cost is far too high, space requirements far to big and capacity far too low for the numbers of people needed to be moved. Once population sizes and land areas reach a an unsustainable size no amount of road building can alleviate congestion,all attempts at congestion alleviation simply increase congestion. “Australian Suburban” McMansion housing should be legislated out of existence for all new housing. Housing sizes and energy efficiencies should be legislated, “extras” like multiple bathrooms, garages and home theatre rooms deleted from all future housing they impose too much cost on to Government/Councils for provision of infrastructure which must be paid for by taxpayers. Housing should be English row housing with common side walls as in the Victorian style housing in Glebe, Newtown, Redfern and Paddington, they should also be Victorian sized at 70Sqm for 2 bedroom and 90sqm for 3 bedroom. All should be built to allow for solar hot water and rooftop panels and have mandatory insulation,water reclamation standards. Walkable neighbourhoods are the model we need to aim for, where people can take their kids to school on foot, walk to the shops, recreations and to public transport. It’s the current housing sizes,road space and other car infrastructure,that induces the requirement for cars. Compact housing in higher densities and removal of car infrastructure reduces travel because every thing is closer and most things within walking distance. Any high density housing taller than 3 floor walkup is going to mandate energy using and possibly unsustainable infrastructure like lifts and air conditioning. In response to Ian’s contribution. 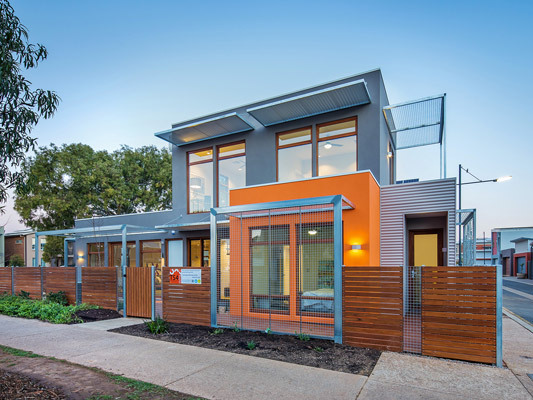 Building Thermally efficient buildings in the housing sector is a course in Australia’s largest deliverer of diploma in building and construction. So we are seeing more informed builders and site managers coming out with greater skills to advis se clients on more efficient design solutions and choices jn material selection. It will take a while to educate consumers that building regs are the minimum and you could get greater long term energy savings if they make more practical choices upfront. Designers and architects are key to improving to advocating efficient design. I would not be surprised if the MBA and the HIA are on the industry advisory panels of vocational building courses, and undermining course content improvements, in relation to sustainability. Trades people are still typically coming out of TAFE with little or no understanding of the enormous opportunities to positively contribute to lower energy costs and more comfortable homes. The MBA has very disappointing and misguided attitudes which are against Australia’s best interests.